Universal CityWalk is Orlando’s entertainment capital! Whether you want to dine and take in a show, dance and drink the night away, or shop for that perfect gift to remember your vacation (how about a tattoo? ), it’s all here in one amazing two-story complex. 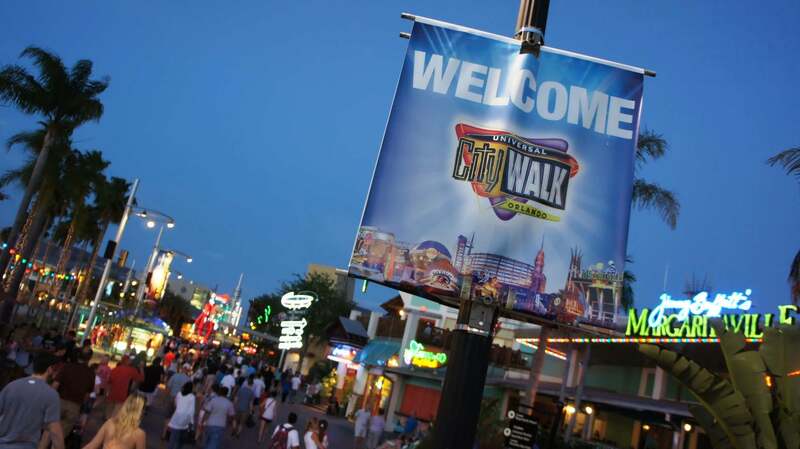 This page includes a history of CityWalk, common misconceptions, our interactive map, and a copy of the official CityWalk map. When you are done here, use the navigation links at the top or bottom of the page to continue your training. In 1995, Universal Studios Florida announced an expansion plan designed to compete with the Walt Disney World resort. This expansion, which rang in at an estimated $2.6 billion, would include a 12-acre entertainment complex now known as Universal CityWalk, three on-site hotels and the Islands of Adventure theme park. This entertainment complex, initially dubbed the Entertainment Zone or “E Zone,” would offer shopping, dining and clubbing opportunities for tourists and locals alike. The complex would also feature a large, multi-screen movie theater (Albright, 1993), and was expected to open in early 1998. The entertainment district would be designed to be a direct competitor to Walt Disney World’s Pleasure Island and the downtown Orlando entertainment center, Church Street Station (The Sentinel Staff, 1995). Reports at the time indicated that the complex would include a mix of at least 10 tenants including a B.B. Kings Blues Club, NASCAR Cafe, a Marvelmania restaurant and more. Marvelmania, had it come to fruition, would have been a new concept created for the complex. Unfortunately, before the restaurant was completed, Marvel Entertainment Group Inc. filed for bankruptcy protection and was no longer able to participate in the joint project (Strother, 1998). Other potential vendors, such as Pat O’Briens, were well established in other tourism locations. The traffic free “street” would also be home to a number of boutiques and unique shopping opportunities. 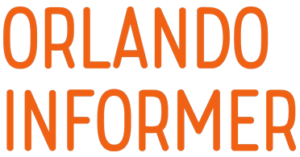 Orlando officials applauded the park’s newest addition, stating that “[n]ighttime entertainment districts have become a necessary complement to theme parks” (The Sentinel Staff, 1995). In 1997, while the complex was under construction, it was renamed CityWalk (The Sentinel Staff, 1995). This name change brought uniformity to the Universal Studios theme park offerings in the United States; a Los Angeles-themed version of CityWalk had opened in California in 1993. When it opened in the winter of 1998, CityWalk Orlando exceeded initial expectations, offering guests 30 acres of entertainment featuring themed dining, entertainment, nightclubs, and shops. 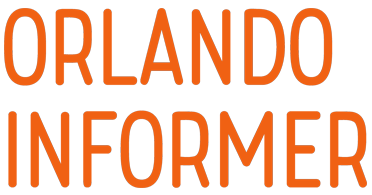 Original dining opportunities included the Hard Rock Cafe, Jimmy Buffett’s Margaritaville, Emeril’s Restaurant Orlando and the NASCAR Cafe. Live entertainment was also plentiful; venues such as Hard Rock Live, Jimmy Buffett’s Margaritaville, and Bob Marley – A Tribute to Freedom drew large crowds to the attraction. Nightclubs offering opportunities for adults to unwind included Motown Cafe, and CityJazz, and retailers included Cigarz at CityWalk, Fossil, Tabasco Country Store, Endangered Species, Glow! and Quiet Flight. Over the years, a number of changes have come to CityWalk. The Motown Cafe was replaced by the now-popular “swank but casual” Red Coconut Club in 2006, becoming the complex’s first club without an overbearing theme intended to attract a laid-back happy hour crowd (Powers, 2006). In 2008, the CityJazz venue was replaced by what many have called CityWalk’s crowning achievement, The Rising Star karaoke-style bar that provides singers with a live band and backup singers (Powers, 2008). Yet another form of entertainment was added to CityWalk when Hollywood Drive-In Mini Golf, featuring a science-fiction and horror-movie themed courses, opened in 2012. Now marketed under the moniker “The Entertainment Capital of Orlando,” Universal Orlando’s CityWalk is touted as being “as popular with locals as it is with visitors.” (Universal Studios Florida, 2012). Albright, M. (1993, September 16). Universal plans major expansion. St. Petersburg Times, p. 1A. Kubin, J. (1999, May 8). Universal, adventurous appeal of Islands; Mythical and cartoon icons rule in theme park. The Washington Times, p. E1. Latham, A. (1994, September 11). Walking the Walk in L.A. New York Times, p. 12. Muschamp, H. (1993, August 15). Who Should Define a City? New York Times, p. 32. Powers, S. (2006, June 1). New Universal CityWalk club promises to give ‘themes’ a rest. The Orlando Sentinel. Powers, S. (2008, December 29). CityWalk’s Star Rises in Orlando’s Entertainment Scene. The Orlando Sentinel. Shapiro, H. (1999, July 25). UNIVERSAL FUN FLORIDA’S NEWEST THEME PARK, UNIVERSAL STUDIOS ISLANDS OF ADVENTURE, IS AN INTOXICATING, THRILLING, FRIGHTENING, EXCITING AND JUST PLAIN ENTERTAINING WORLD OF LEGENDARY CHARACTERS AND DIZZYING RIDES. Inquirer Travel, p. T01. Strother, S. (1998, July 20). More Than A Landlord – Theme Parks Give Eateries A Hand. Orlando Sentinel. The Sentinel Staff. (1995, November 8). Universal Plans Nightlife Complex. Orlando Sentinel. The Sentinel Staff. (1997, March 11). New Name for E Zone: CityWalk. The Orlando Sentinel. The Sentinel Staff. (1998, March 26). Universal Changes Name. The Orlando Sentinel. Since Universal CityWalk is attached to Universal Studios Florida and Islands of Adventure, the biggest misconception about the complex is that guests must purchase admission to enter. But, just like Downtown Disney, it is completely free to enter and walk around CityWalk. From a payment standpoint, the important difference between Downtown Disney and CityWalk is that, because Universal only has one parking facility for its theme parks and CityWalk, you usually have to pay to park (see more information and the exceptions on our Parking & Universal’s transportation hub page). There are three sections to Universal CityWalk. The first section, which is the ground level you walk into from the parking garages, holds Universal’s 20-screen movie theater, several restaurants, and most of the CityWalk shops. It is also on this ground level that you will find the CityWalk stage, where Universal has complimentary live music and DJs during busier times. The second section is the “upstairs” or “second floor” of CityWalk. This is the more adult-oriented section, featuring the CityWalk nightclubs and the restaurants that also double as clubs in the later hours of each evening. The third section of CityWalk is on the other side of the lagoon, and it is home to two more restaurants and the Blue Man Group theater. To get a better understanding of the layout, be sure to view the Universal CityWalk map below. Click the image to view it full-screen. If you would like to download the image, click it to open the full-screen version–then right-click in the center of the image. Universal CityWalk Orlando map (October 2011). View OI’s map of Universal CityWalk.